Join us in the AIA AZ Conference Room for this month’s meeting! AIA Phoenix Metro has teamed with Local First Arizona for this Modern Phoenix Week event. No charge for AIA members to attend. 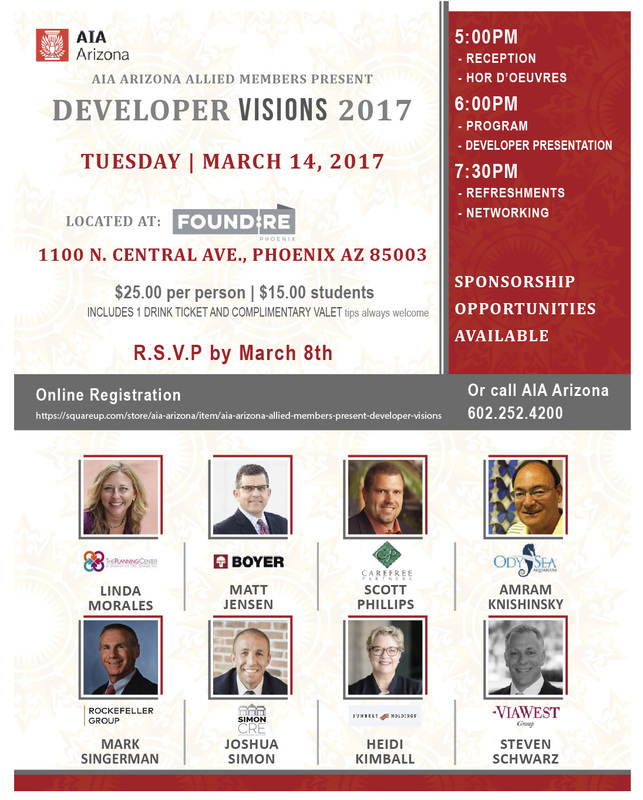 Join AIA Southern Arizona Chapter for the upcoming seventh installment of their joint CAPLA + AIA Southern Arizona 2016-2017 lecture series! The series theme is EXPANSION and focuses on the ways designers are rethinking traditional forms and methods of practice. We’re examining how the profession is changing and how this evolution has impacted the design communities and periphery. AIA Members will receive 1 AIA Continuing Education Learning Unit. 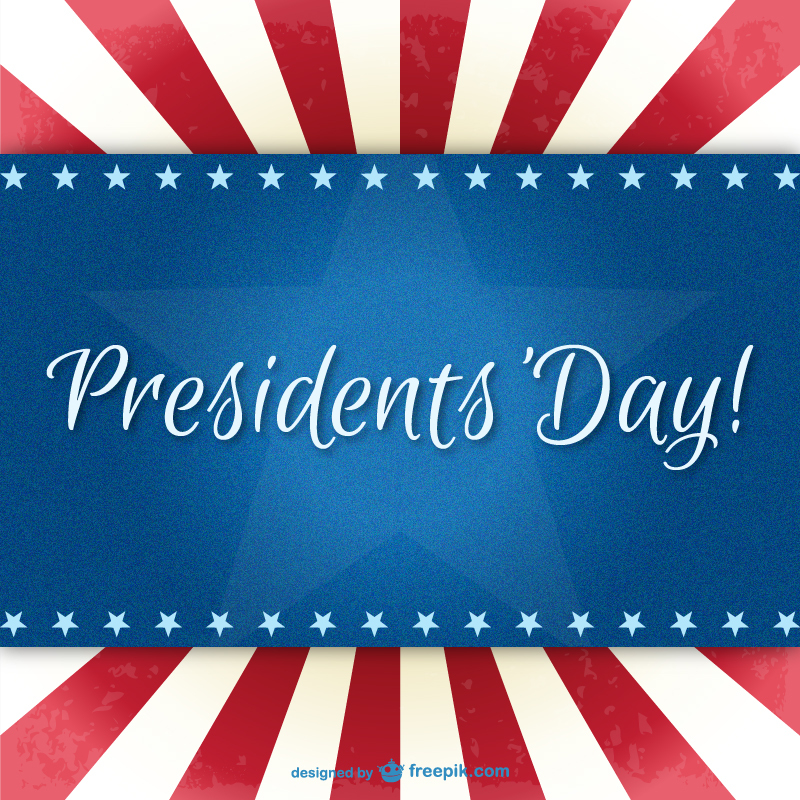 Monday, February 20th, in honor of President’s Day. All proceeds benefit the AIA Arizona/Rio Salado Architecture Foundation Architectural Archives Project! Click here for more information and sponsorship opportunities. 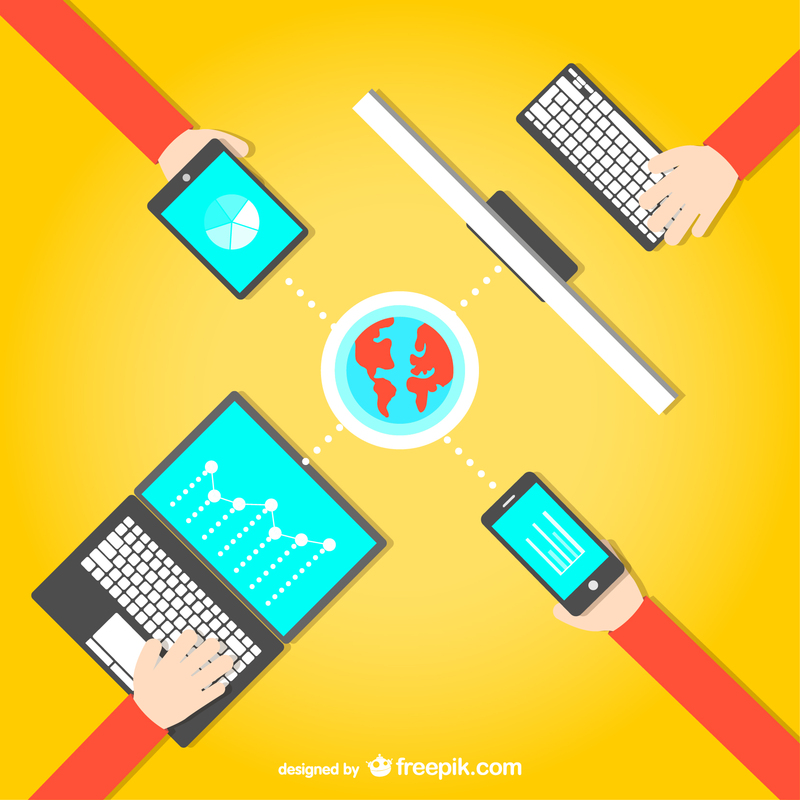 How do we engage the world we shape? Parking will be validated for the City Hall garage on the southwest corner of 3rd Avenue and Washington or is available at meters in the area. Join us for a full day of programming designed especially for Associate AIA members! Topics will include ARE/AXP, panel discussion on Firm Culture, Leadership and more. The Firm Crawl is also back with locations in the downtown Phoenix Warehouse District. Please contact Charnissa with any questions. The 10th annual Jeff Harnar Award for Contemporary Architecture in New Mexico is currently accepting applications! Submissions must be from an architect or architectural firm for a singular work of architecture built in New Mexico which has been completed since January 1, 2011. The architect or firm do not need to be from New Mexico and there is no limit to the number of entries per firm or architect. 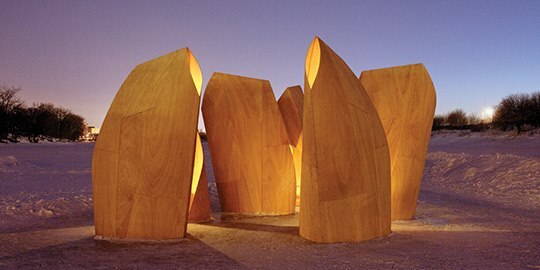 Purpose: The award was created in Jeff Harnar’s honor to encourage creativity and excellence in contemporary architectural design; to promote contemporary architecture and sustainable design of new architectural forms which celebrate and integrate with the unique landscape of New Mexico. Join AIA Southern Arizona Chapter for their upcoming chapter meeting and the sixth installment of their joint CAPLA + AIA Southern Arizona 2016-2017 lecture series! The series theme is EXPANSION and focuses on the ways designers are rethinking traditional forms and methods of practice. We’re examining how the profession is changing and how this evolution has impacted the design communities and periphery. 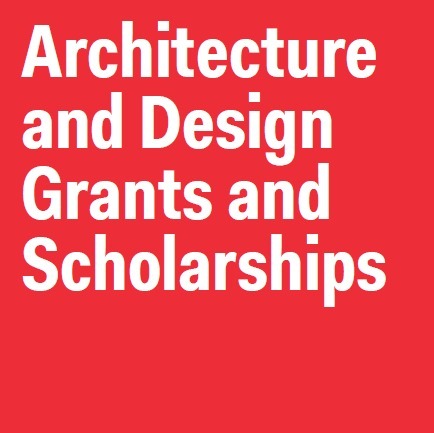 AIA NY Center for Architecture is currently accepting applications for their Arnold W. Brunner Grant! Purpose: This prestigious award is designed for mid-level architects to pursue architectural investigations that effectively contribute to the knowledge, teaching, or practice of the art and science of architecture. Proposed investigations must engage in contemporary architectural issues within local and global contexts and should result in a final written work, design project, research paper, or other form of presentation. Eligibility Applicants must be US citizens in the profession of architecture or a related field and must have received their first professional degree at least five years prior to the application deadline. Download the flyer for this post-professional grant. Office is closed Monday, January 16th & will reopen Tuesday, January 17th. 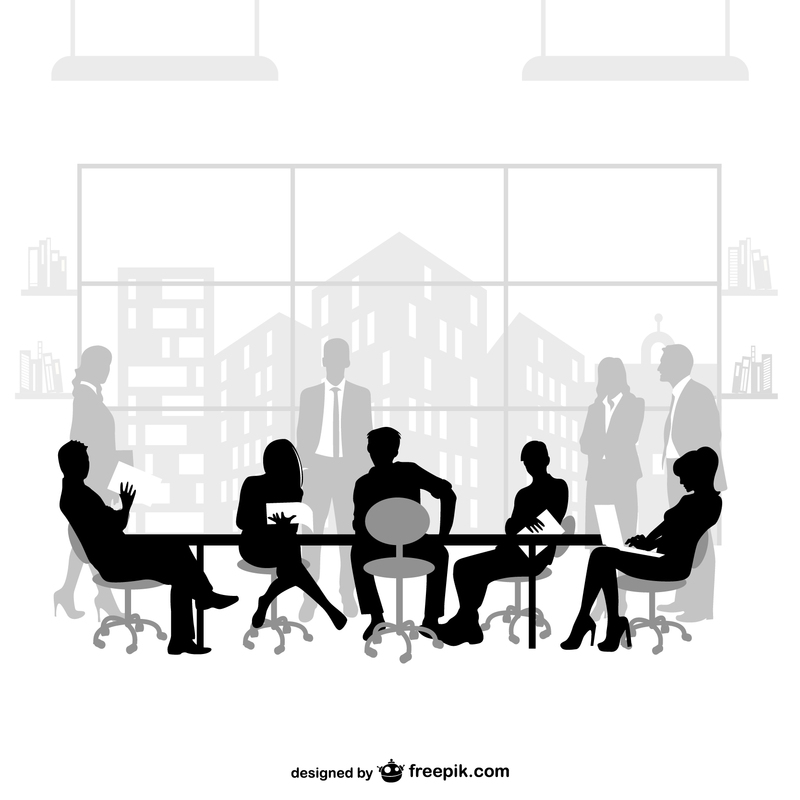 Join us for the AIA SAC Board Meeting + Holiday Mixer! RSVP to Diana by Friday, December 2nd to receive a complimentary drink ticket! 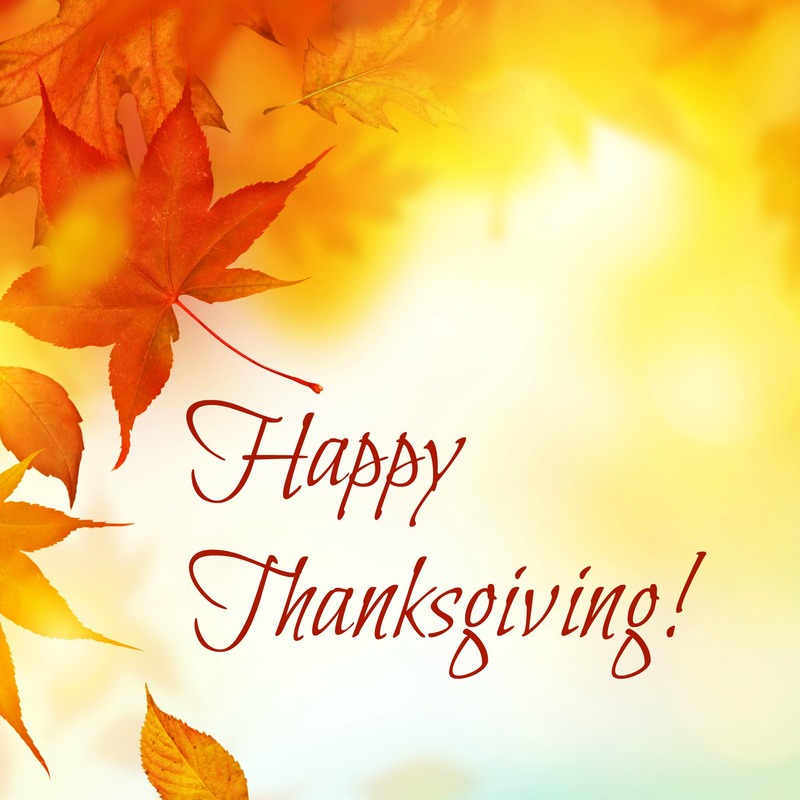 The AIA Arizona Office will be closed for the Thanksgiving Holiday! Office is closed Thursday, November 24th & Friday, November 25th. The office will reopen Monday, November 28th. We hope everyone has a wonderful weekend with friends and family! Join us to network with your fellow AIA Allied Members! 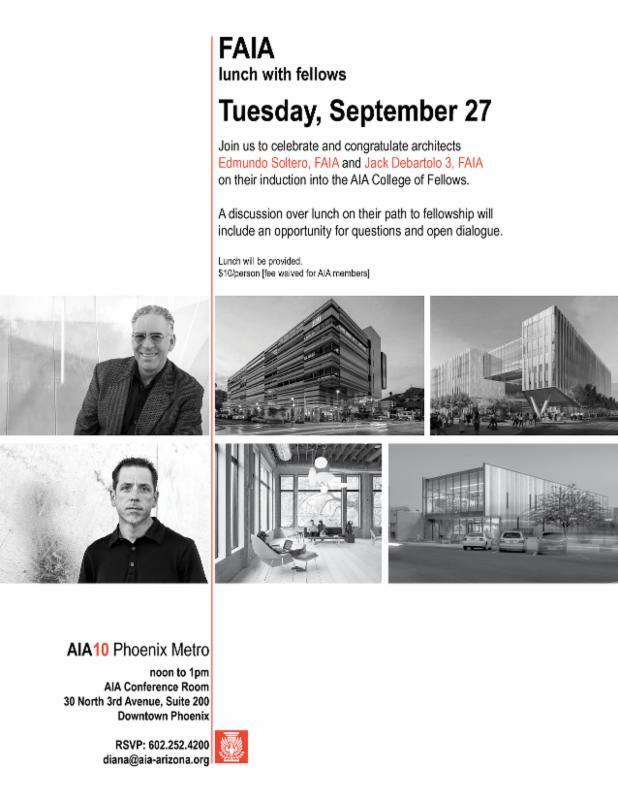 All Allied Members are welcome and encouraged to attend to network with other members, learn about how to market to AIA Architects, and stay involved with AIA Arizona and AIA Phoenix Metro. 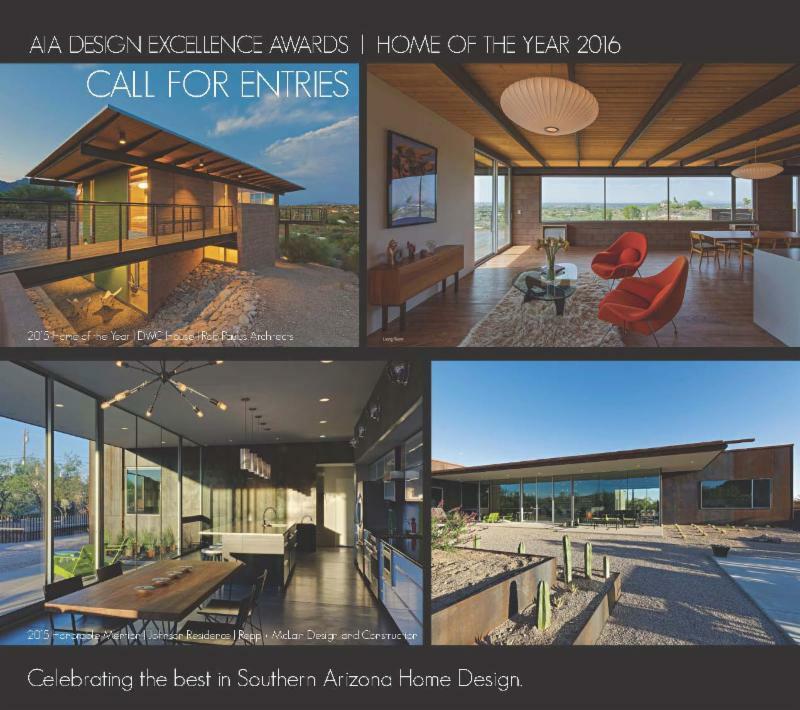 This competition recognizes the best home designs in Southern Arizona of all types, sizes and budgets. Contact Diana for additional information or questions. 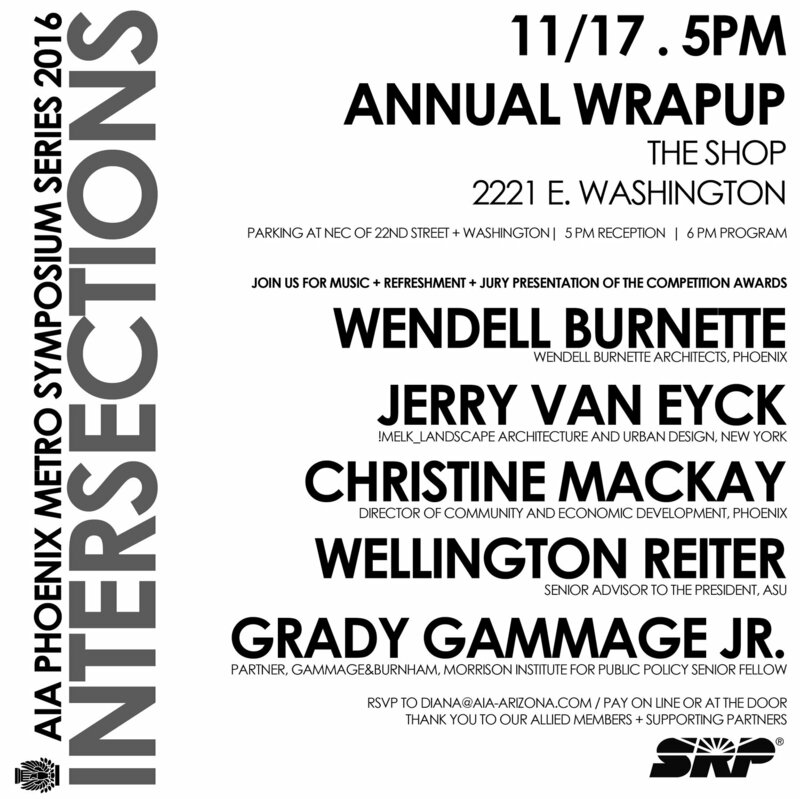 Join us for this year’s AIA Phoenix Metro’s Annual Meeting + Symposium Series Wrap-up, held at The Shop. Join us for music, refreshments, jury presentation of the competition awards and more! Networking, food, beverage and fun! Please contact Diana with any questions. Join AIA Southern Arizona Chapter for their upcoming chapter meetings and the third and fourth installments of their joint CAPLA + AIA Southern Arizona 2016-2017 lecture series! The series theme is EXPANSION and focuses on the ways designers are rethinking traditional forms and methods of practice. We’re examining how the profession is changing and how this evolution has impacted the design communities and periphery. 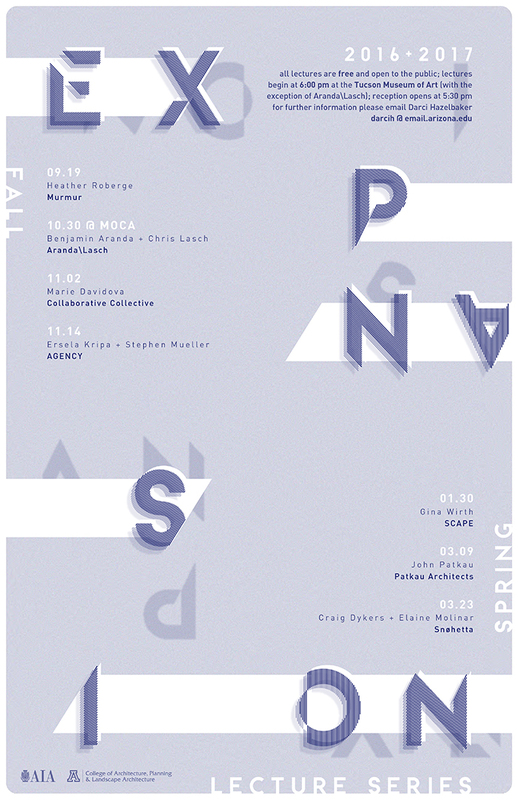 The third lecture of the series will be presented by Benjamin Aranda + Chris Lasch, with Aranda\Lasch. 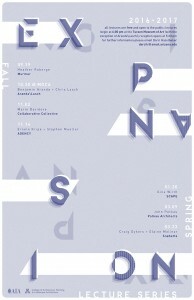 The fourth lecture of the series will be presented by Marie Davidova, of Collaborative Collective. Join us in the AIA AZ Conference Room for a Continuing Education Opportunity–Technology In Education: Transforming Learning Environments, presented by Mark Valenti CTS. This program explores emerging pedagogies and enabling technologies and the related planning, design, and infrastructure issues that planners, architects, and designers face in designing contemporary buildings for education. Examples of the forces impacting pedagogy, new and emerging technologies, and their influence on learning space design will be shared. Please email Charnissa with any questions. Congratulations to the winners of the 2016 AIA Student Projects Competition! The contest was held this Spring, open to all students in the three Arizona Architecture schools, and involved a simple one-page graphic synopsis of the entrant’s best academic project. Judges awarded points for graphic clarity, creative expression, and thoughtful exploration. 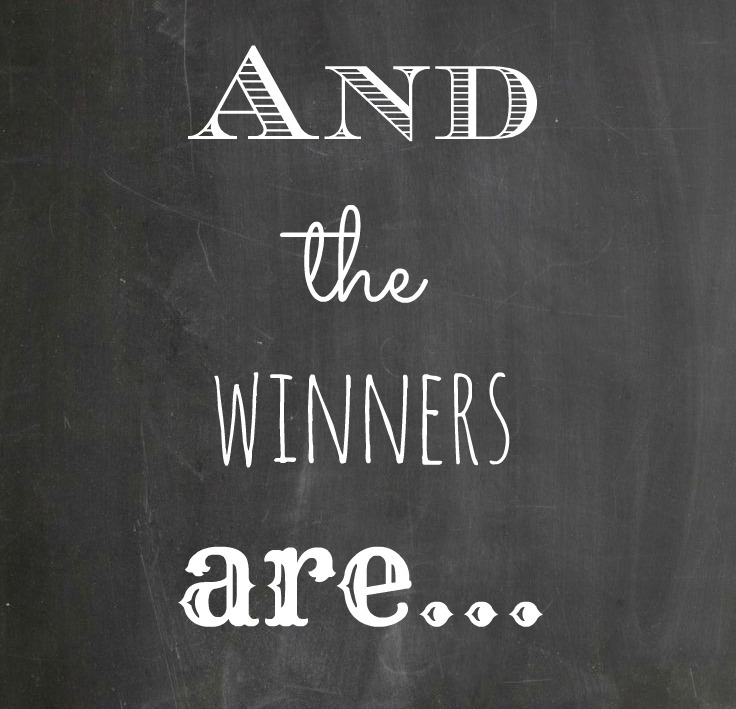 Please peruse the aspiring entries, and thanks to all that participated! Click Here for all entries. 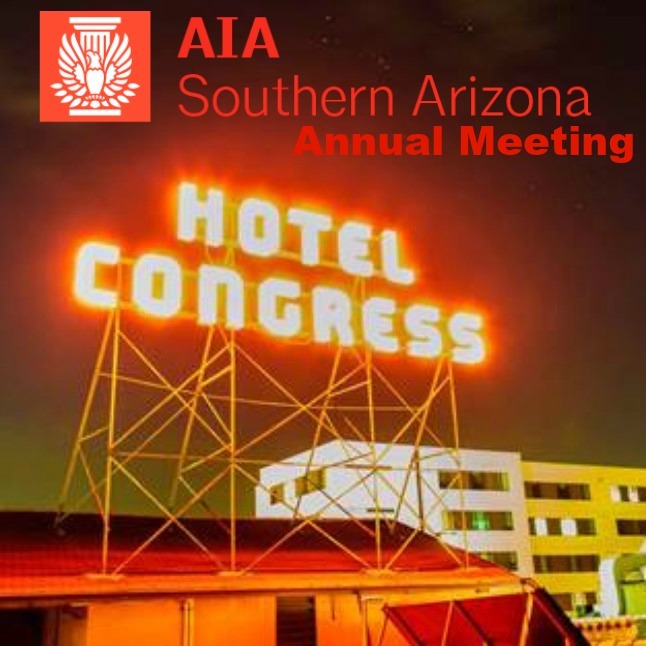 Join AIA Southern Arizona for their Annual Meeting at the legendary Hotel Congress Copper Hall for networking, dinner, SAC Design Awards presentation, 2017 board elections and more! Rick Joy, FAIA, Int. FRIBA, is an alumnus of the University of Arizona’s CAPLA (1990) and is Founder and Principal of Rick Joy Architects, a 27 person architecture, planning and interior design firm established in 1993 in Tucson, Arizona and Co-Founder with Claudia Kappl of the 4 person Concept Lighting Lab design firm in 2010. From the beginning, each of Studio Joy’s works have been exhibited and published extensively and have won numerous awards. 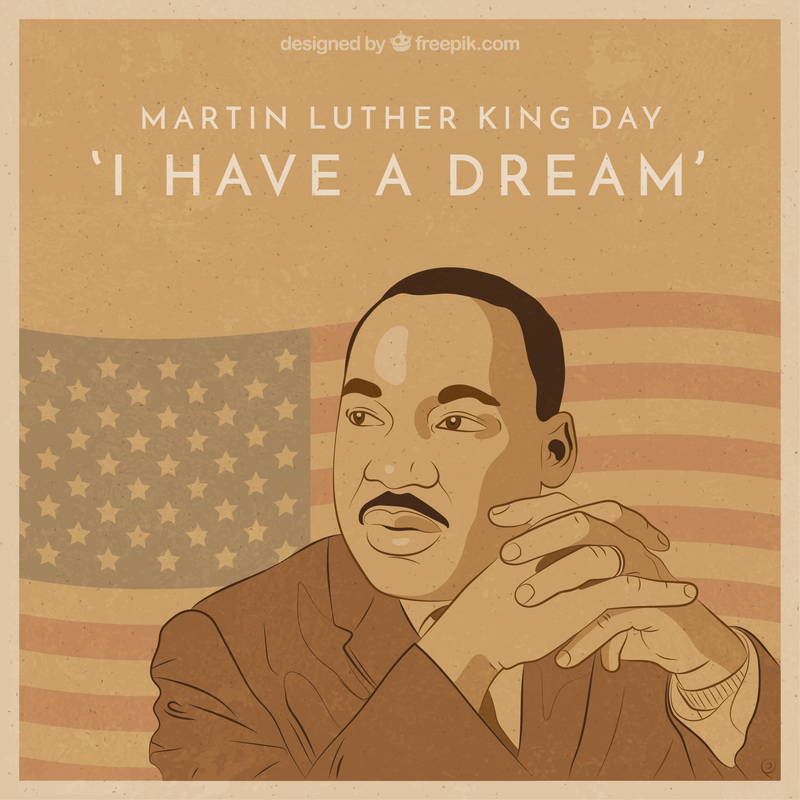 Joy received the 2002 American Academy of Arts and Letters Award in Architecture and in 2004 won the prestigious National Design Award from the Smithsonian Institute/Cooper-Hewitt Museum. This year he will be inducted into the American Academy in NY and periodically serves as a visiting professor at the Harvard Graduate School of Design. 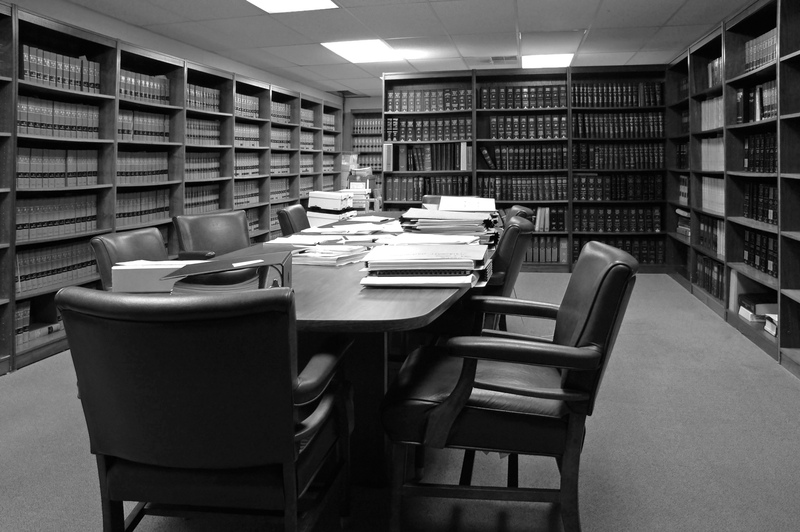 He regularly lectures about the firm’s work throughout the world. RJA has realized architectural works throughout North America with extensive experience with lifestyle based projects from numerous single family residences to an ultra-lux resort and large scale master-plans. The office has several active residential commissions in San Francisco, New York City, Turks and Caicos, Malibu, Long Island. RJA is currently completing the prestigious commission of the new Train Station and Campus Gateway Buildings to Princeton University, a luxury resort hotel with private compounds in Mexico, an apartment building in Mexico City and a new luxury boutique hotel in Austin Texas. 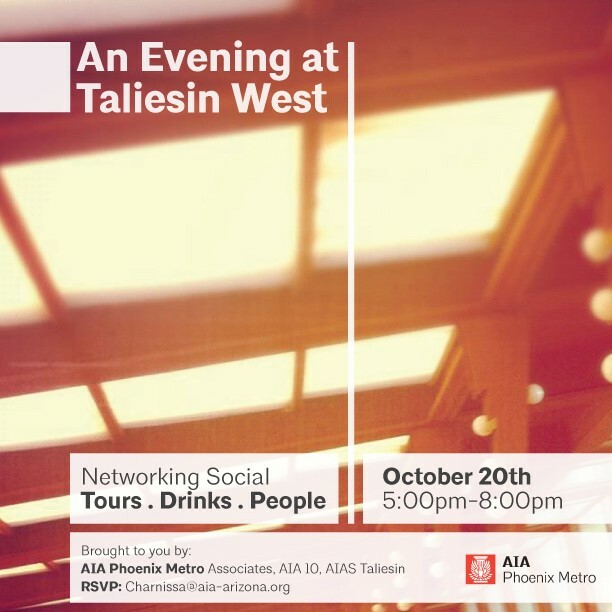 Come out for an evening at Taliesin West with AIA Phoenix Metro Associates, AIA10, and AIAS Taliesin. Enjoy drinks, tours, and socializing with peers at one of the valley’s most iconic architectural gems. 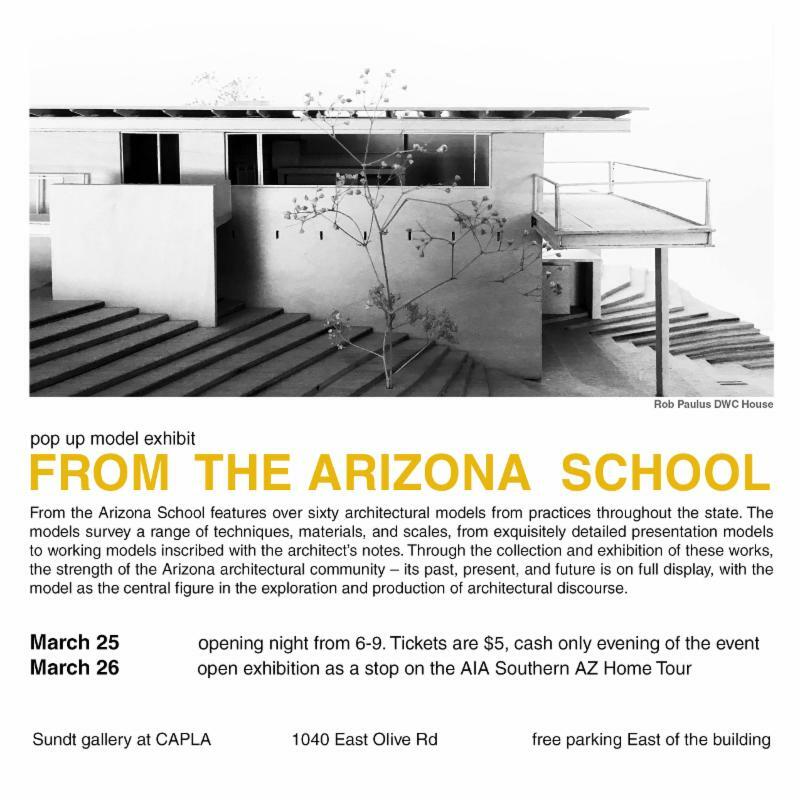 Tours of the campus will be happening throughout the evening, but if you want to get on the special shelter tour, you will need to register early by emailing charnissa@aia-arizona.org. 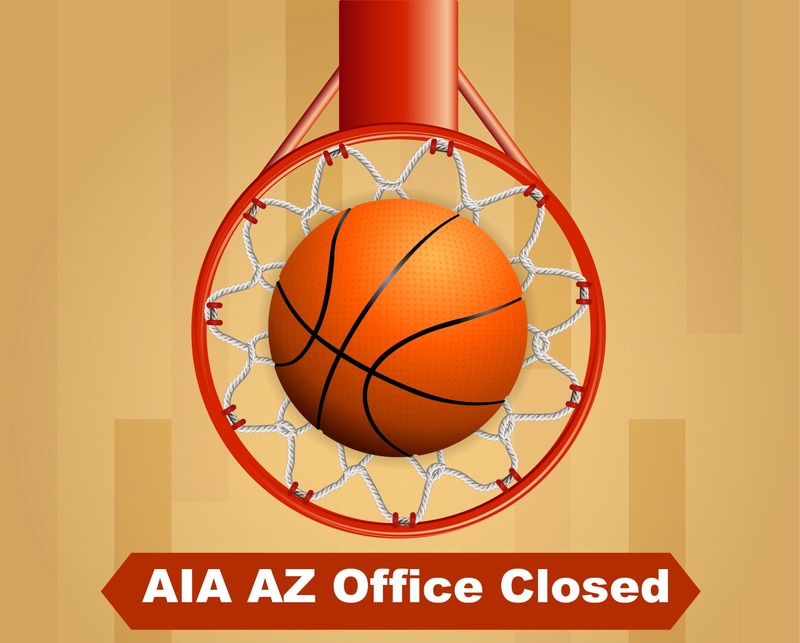 AIA Arizona Conference Online Registration CLOSED! Online Registration for the 2016 AIA Arizona Conference Has Closed– Late Registrations Accepted Via Email. Registration fee is dependent upon whether you are attending singly, registering as a firm, or are a sponsor. Tina will assist you to determine the appropriate fee category. Opportunities are still available for you to be involved as a sponsor for the 2016 State Conference. 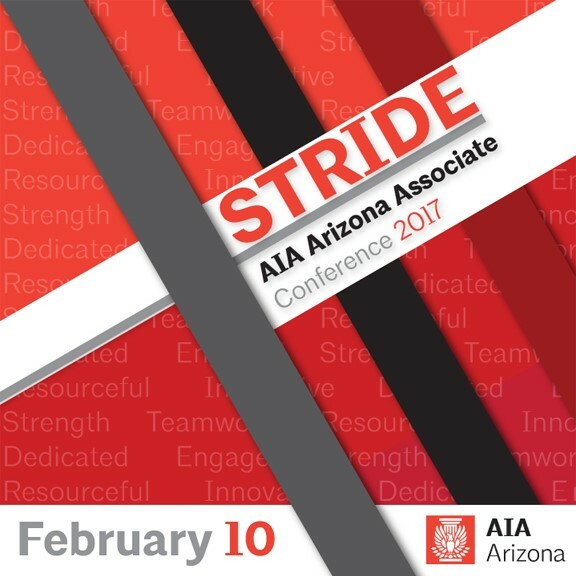 Download the AIA AZ State Conference–Sponsorship Opportunities form to determine the best fit for your organization. 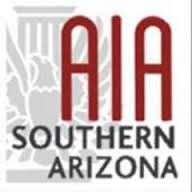 Thank you for your support of AIA Arizona and our upcoming 2016 State Conference! Comments Off on AIA Arizona Conference Online Registration CLOSED! Registration is now open for BOTH the AIA Arizona State Conference and the Design Awards Gala! AIA Arizona 2016 State Conference: TRANSFORMING BOUNDARIES – Resilience | Expansion | Inclusion! Join us Friday, October 7th, at On Jackson. Register here to check out the schedule and learn more about the great line-up of speakers and continuing education opportunities. Take advantage of early bird pricing before September 23rd! Check out the 2016 Conference page on our website for an overview of the day. AIA Arizona 2016 Design Awards Gala: CELEBRATING ARCHITECTURE! Dust off that suit, don that perfect dress, and join us Friday, October 14th, at the Phoenix Art Museum. There will be a cocktail reception and hors d’oeuvres before the awards presentation, followed by dessert and an after-party to celebrate the winners! Register now for early bird pricing before September 30th. Review our Design Awards page for more information about the awards to be presented. There are several ways you can be involved as a sponsor for the 2016 State Conference and the 2016 Awards Gala. Download the AIA AZ State Conference & Design Awards–Sponsorship Opportunities form to determine the best fit for your organization. Thank you for your support of AIA Arizona and our upcoming 2016 State Conference and Awards Gala! 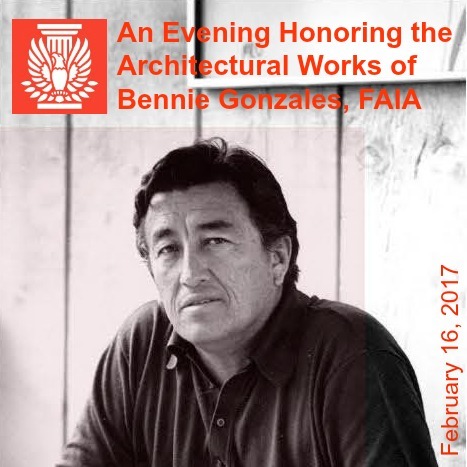 Join us for the AIA10 FAIA Lunch with Fellows to celebrate and congratulate architects Edmundo Soltero, FAIA and Jack Debartolo, 3, FAIA on their induction into the AIA College of Fellows! A discussion over lunch on their path to fellowship will include an opportunity for questions and open dialogue. Do you need continuing education credits? Earn 6 HSW’s at our Procrastinator’s Day Seminar presented by Ron Blank & Associates. Time: 8:30 a.m., Registration —- Program 9:00 a.m – 4:30 p.m.
*24 hour cancellation notice must be given for refunds all no-shows will be billed. For any questions, please contact Charnissa or by phone: (602) 252-4200. Join us for the fifth installment of the 2016 AIA Phoenix Metro Symposium Series, the Intersection of Intercity + Intracity! This event is free and open to the public, but please RSVP so that we may have an accurate food and beverage count.